Filter capacity and filter life, an important theme with financial implications for professional filling stations where cost control is vital. The life of a filter is strongly influenced by the running temperature of the compressor and ambient temperature. 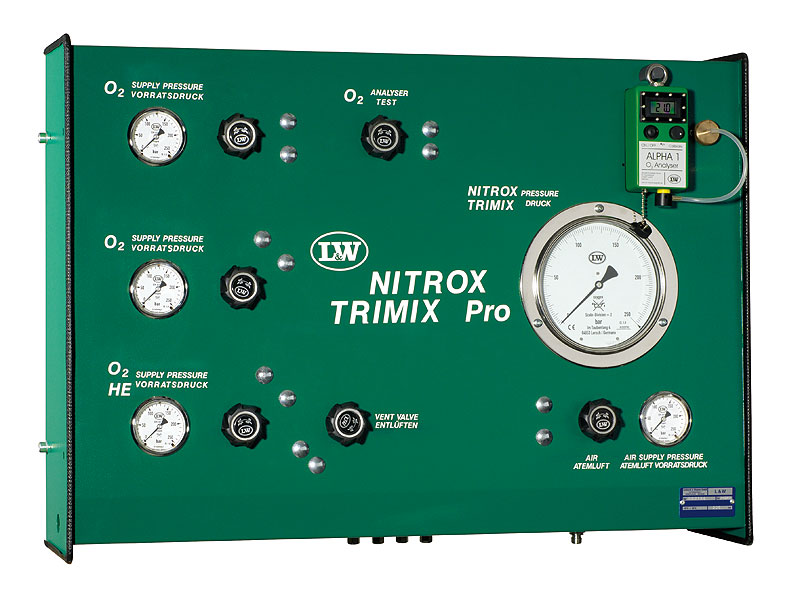 Example: LW 450 E at +20°C outlet temperature has a filter life of approx.33 hrs, at +35°C this time is reduced to just 10 hours! If the air is cooled down to +3°C after the final compression stage before it enters the final separator, the life of the filter cartridge can be extended up to 6 times, in extreme tropical conditions 10 times! 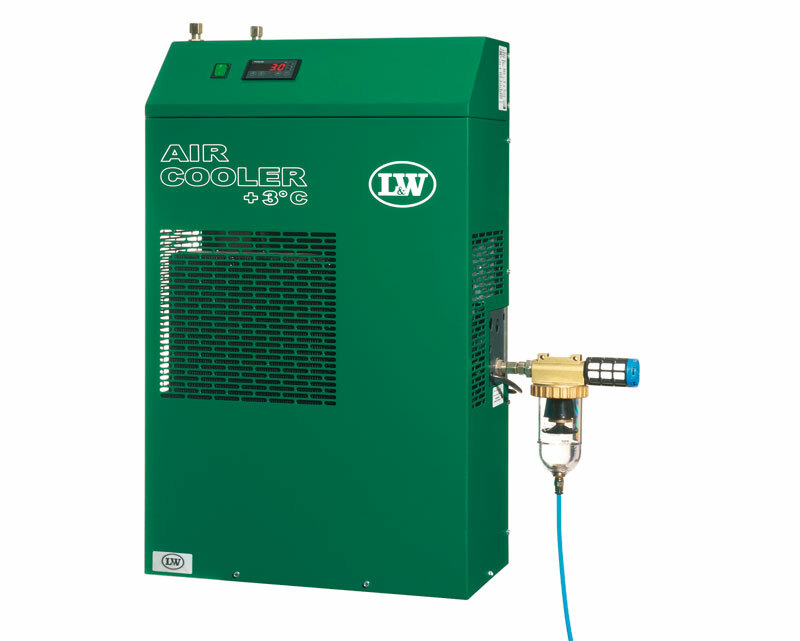 The L&W refrigeration dryers, named Air Coolers, can pay for themselves within 1 season in saved filter cartridge costs. 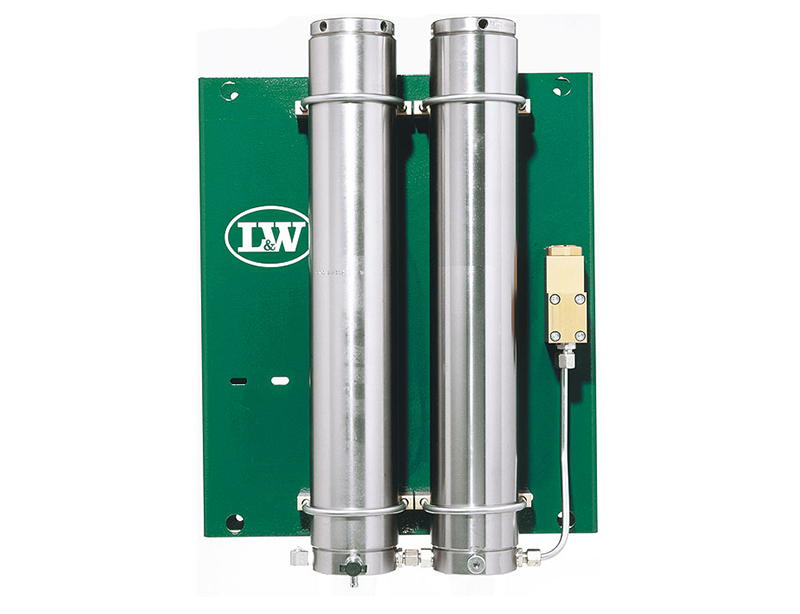 To monitor the exact state of the filter and register when the cartridge needs changing, we recommend the L&W Puracon moisture controller. For some industrial applications, the air cooler can provide suitable drying without the need for filters. 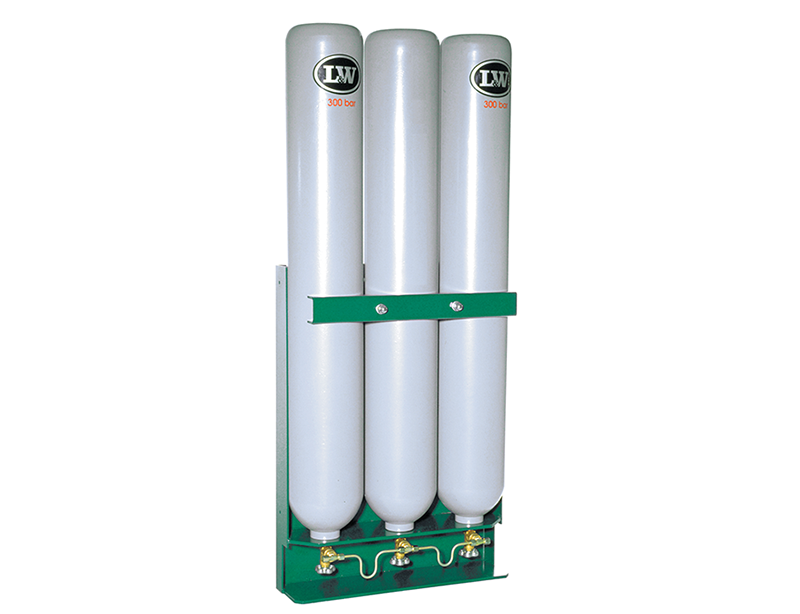 The coolers are available as independent units with water separators, automatic condensation drain with timer and silencer, or as the economical. 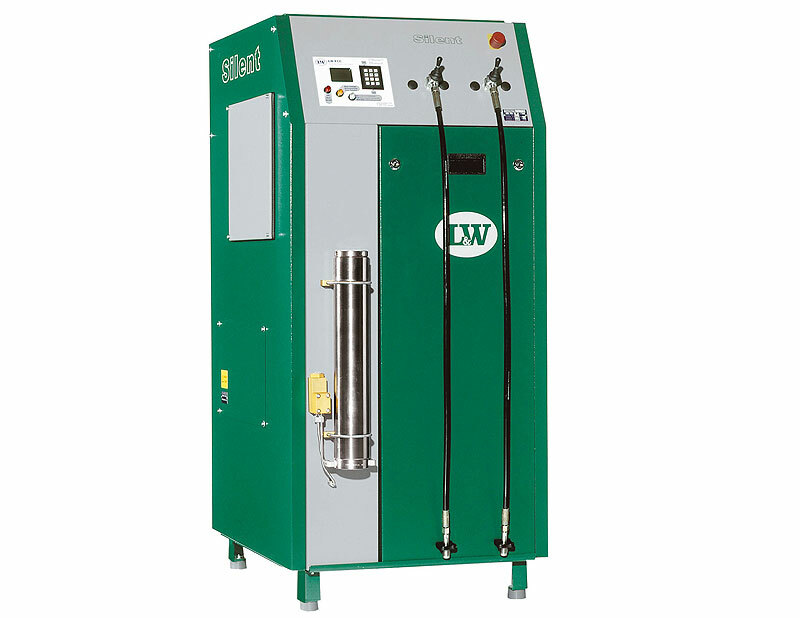 LW Air Cooler BASIC for connection to a compressor with final stage oil/water separator and drain. 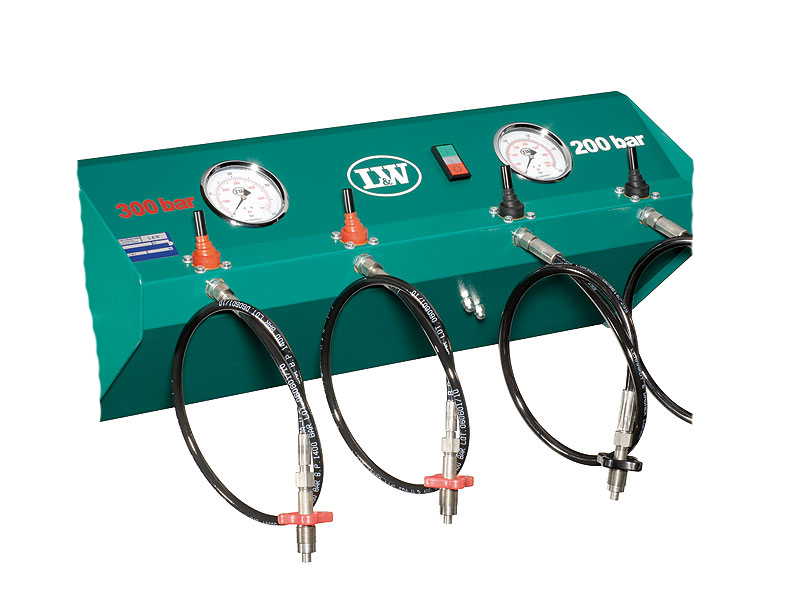 LW Air Coolers are available in 2 pressure ratings, max 250 bars and max. 350 bars. The basic units have a max. working pressure of 450 bar. The units up to and including 2850 litres/min capacity are for wall mounting, the larger units are free standing. The units are maintenance free with environment friendly CFC-free refrigeration fluids.